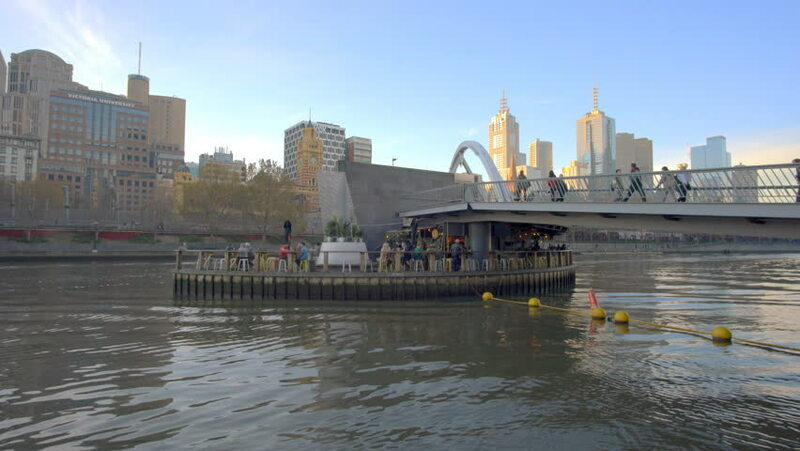 Melbourne, Australia - Jun 1, 2016: 4k moving shot of Yarra River in Melbourne CBD and people visiting the bar at Ponyfish Island, which is a popular tourist attraction. 4k00:14MELBOURNE, AUSTRALIA - MAR 17: 4k Day to Night timelapse video of the Webb bridge, Docklands, Melbourne, Australia on Mar 17, 2015. 4k00:14View of the bridge and the central embankment. London.